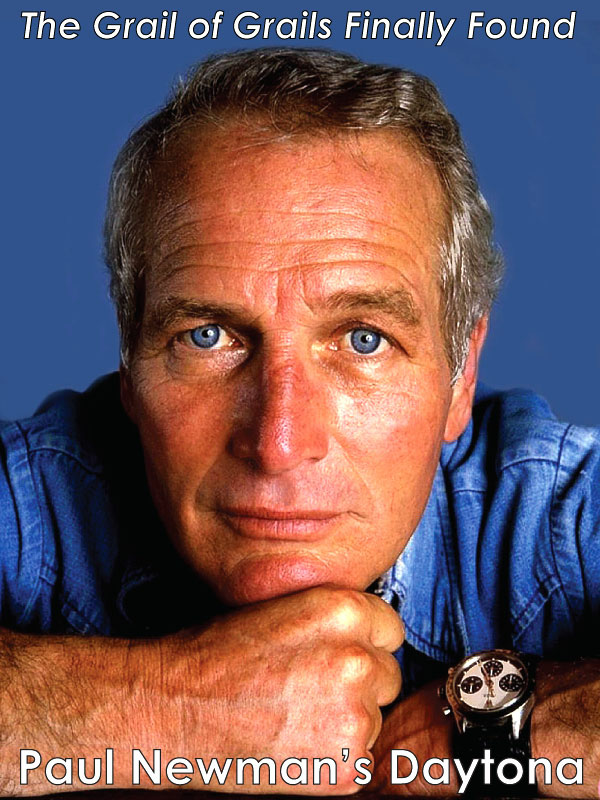 As the editor an publisher of Jake's Rolex World, one of my absolute favorite things is when I discover that somebody who I always admired wore a Rolex. Events like this typically occur a few times a year, if I am lucky. 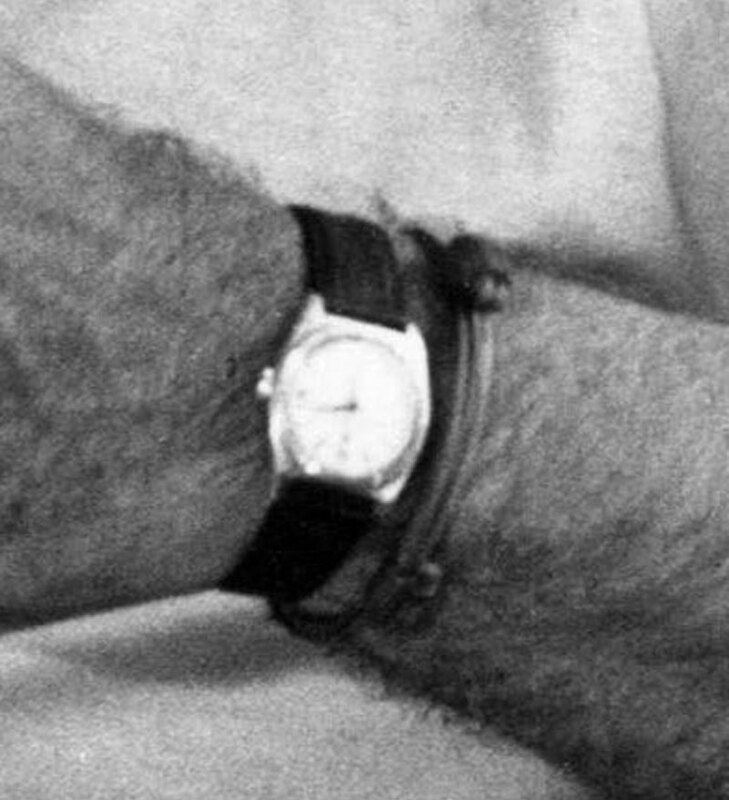 Today I am extremely happy to share that I recently discovered the story of Clark Gable wearing a Rolex!!! 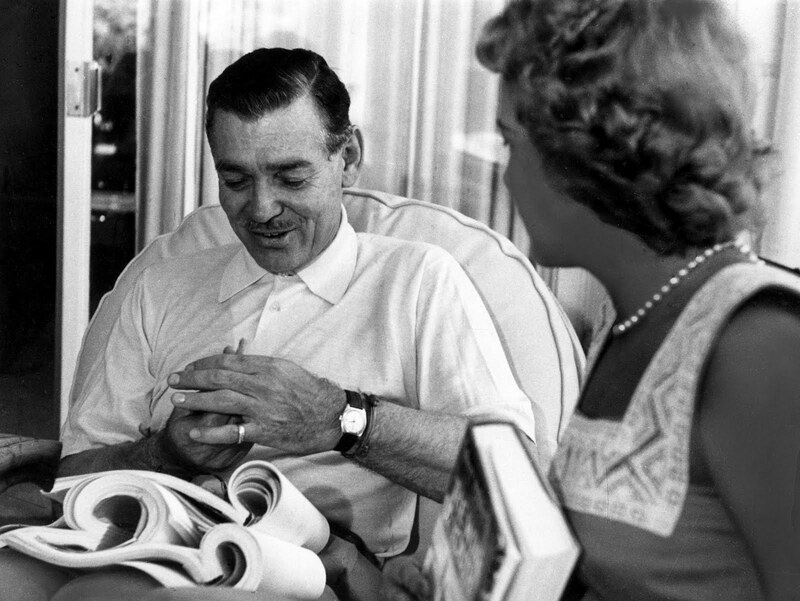 Why is finding Clark Gable wearing a Rolex so profound!?! Because Clark Gable is probably one of the top 5 coolest guys that ever lived. I would put him right up there with Steve McQueen, Cary Grant, Paul Newman and Sean Connery. 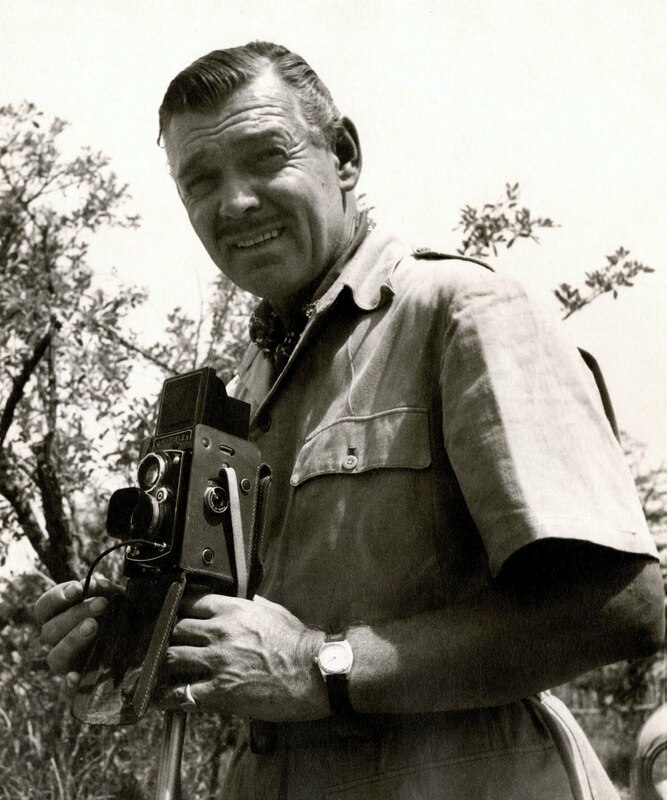 It turns out that Clark Gable was a watch collector, and in August of 2011, on Jake's Patek Philippe World, I discovered and identified Clark Gable wearing his Patek Philippe Triple Date Moonphase [Reference 1526]. 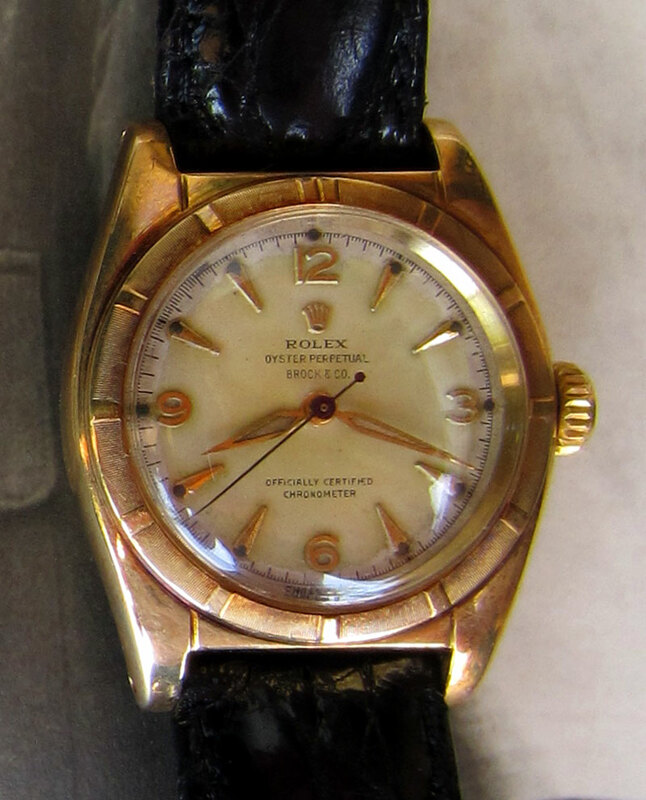 The recent photo below is of Clark Gable's actual Rolex Oyster Perpetual which is currently in the hands of a private collector. 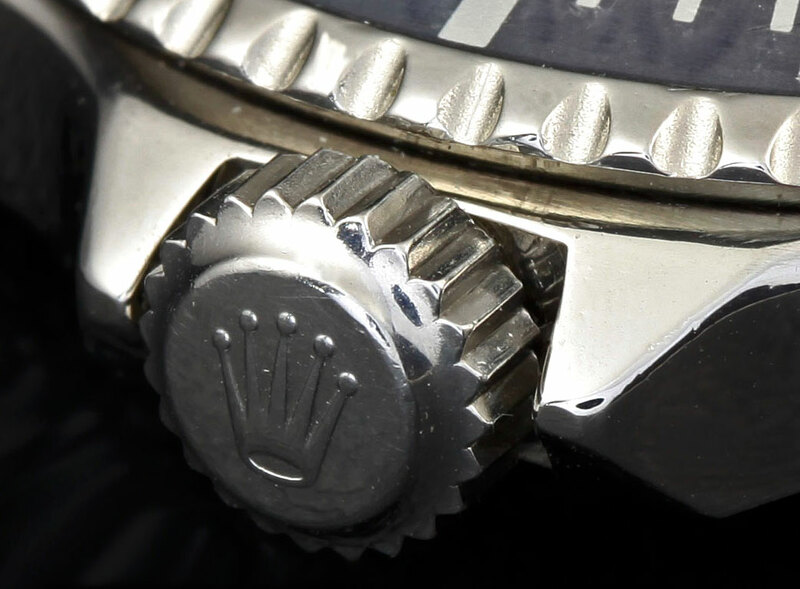 The watch is a beautiful Rolex originally retailed by Brock & Company, and it has the 3, 6, 9 &12 indices in raised yellow gold arabic numerals, along with lumed Leaf hands. 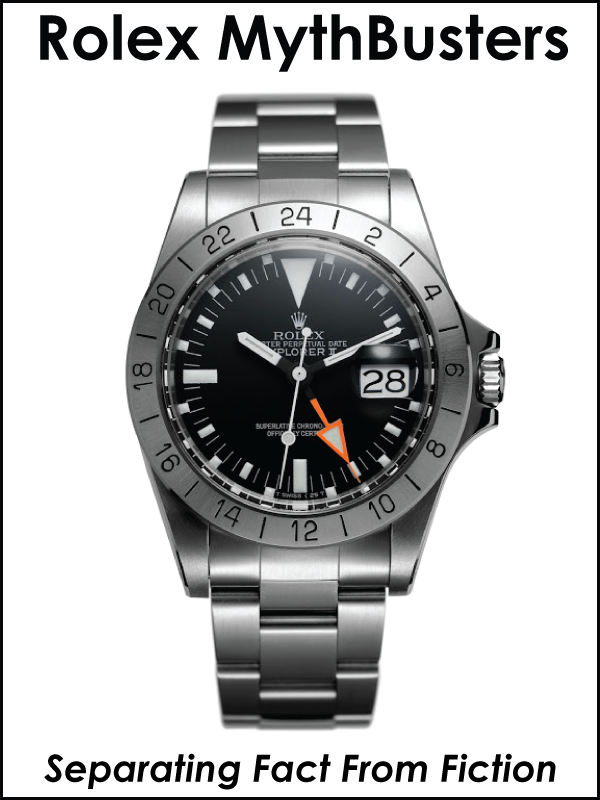 Also, notice the yellow gold bezel has 5 minute markers with hairline sub second etching between the markers. 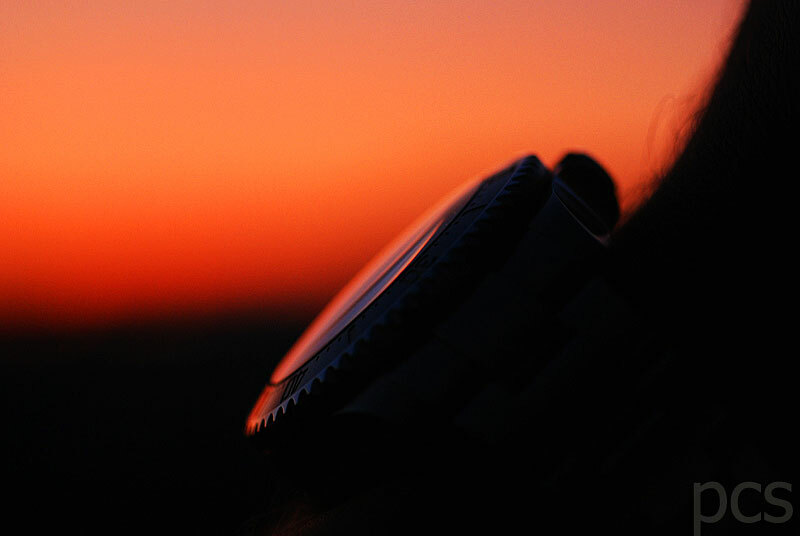 The wrist shot photo below shows a close-up of the photo above. 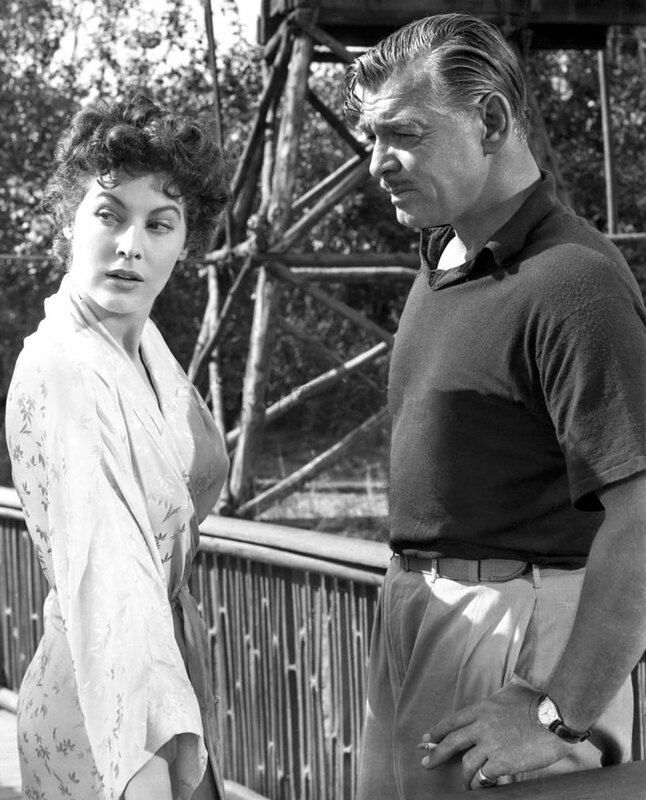 As you will see later in this story, Clark Gable wore different bracelets with on the same wrist with his Rolex. 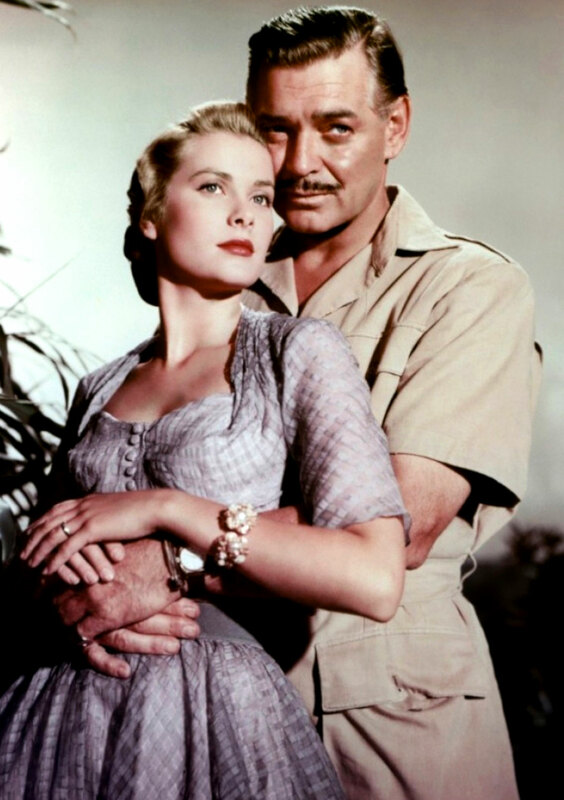 The next two photos below, are from the 1953 movie named Mogambo which Clark Gable starred in along with Grace Kelly and Ava Gardneer. 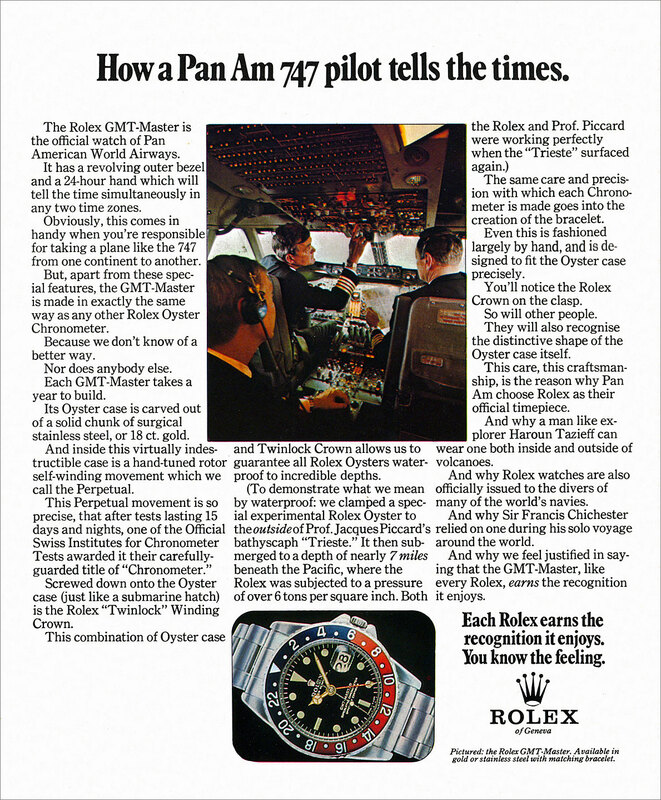 Clark Gable wore his Rolex Oyster throughout the movie. 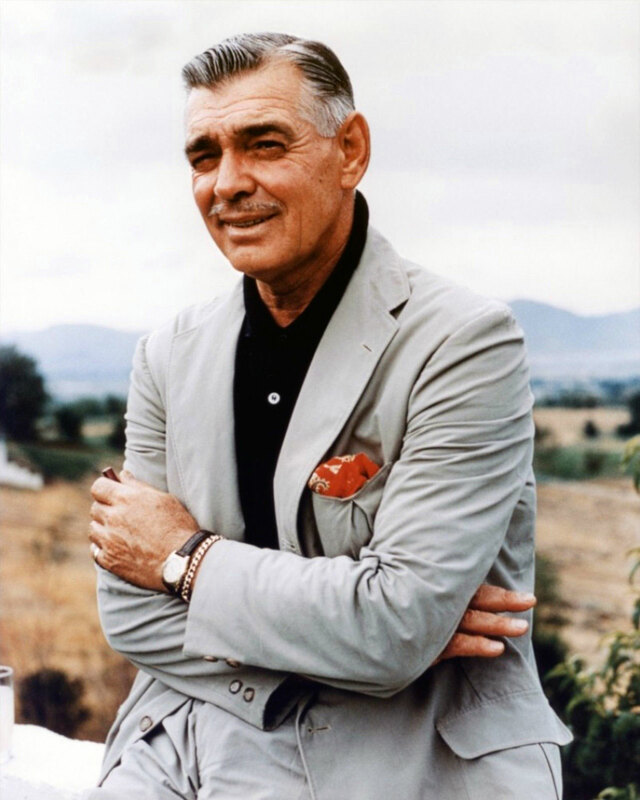 This last photo of Clark Gable was taken in 1960, and it shows Clark Gable sporting his Rolex, looking very sporty and stylish. Ironically, he was only 59 years old when this photo was taken, and later that year he died. 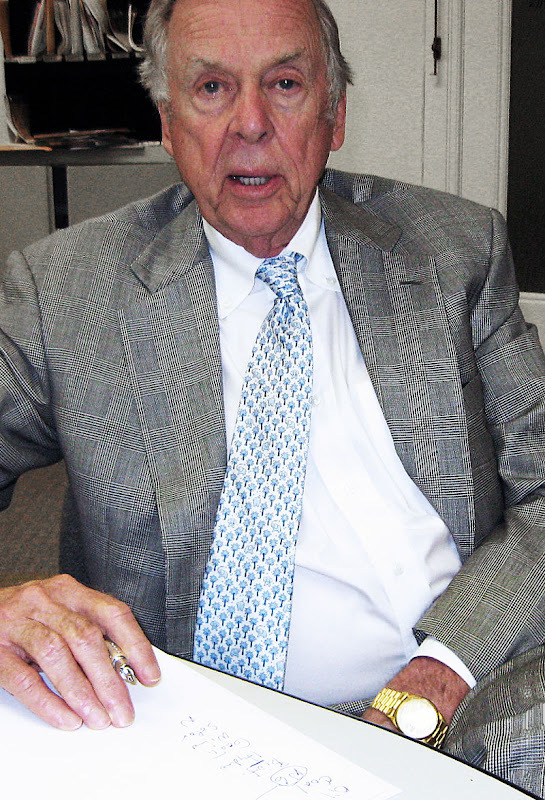 T. Boone Pickens is an oil tycoon. 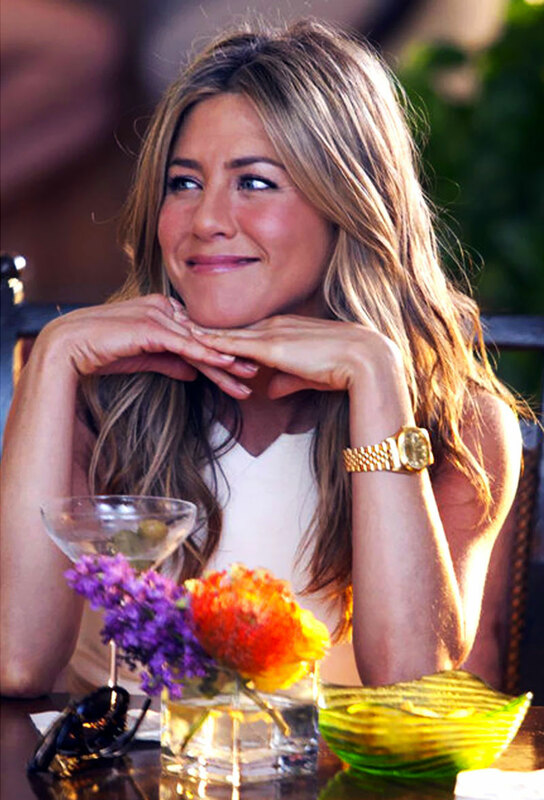 He is pictured below wearing his trademark Rolex yellow gold Day-Date. 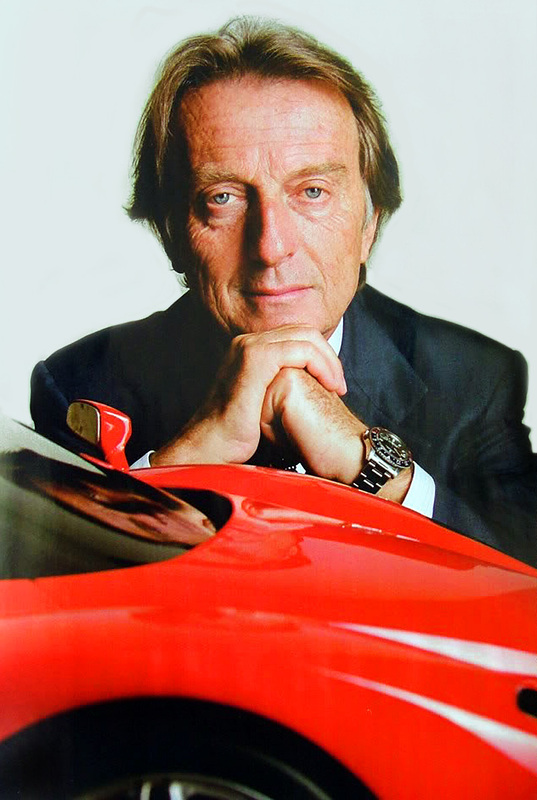 Luca Cordero di Montezemolo is the Chairman of Ferrari and Fiat. 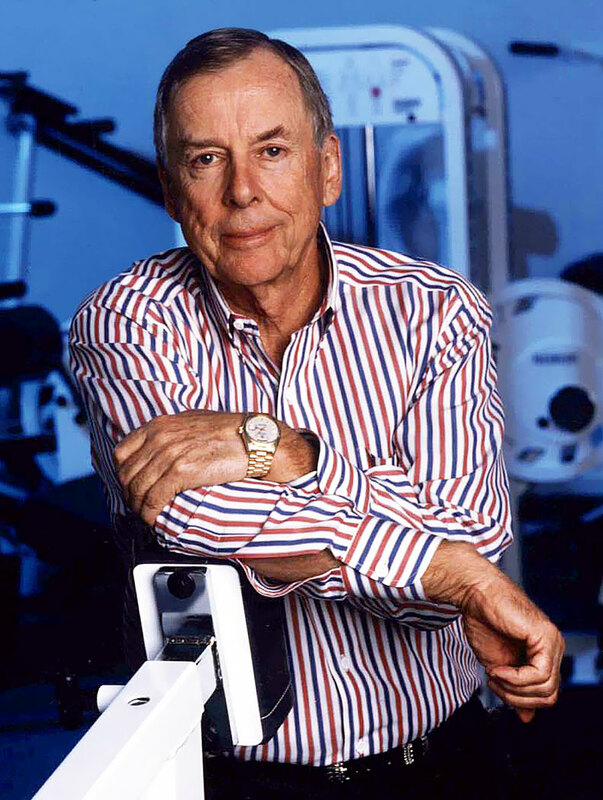 He has had an amazing career filled with many achievements. 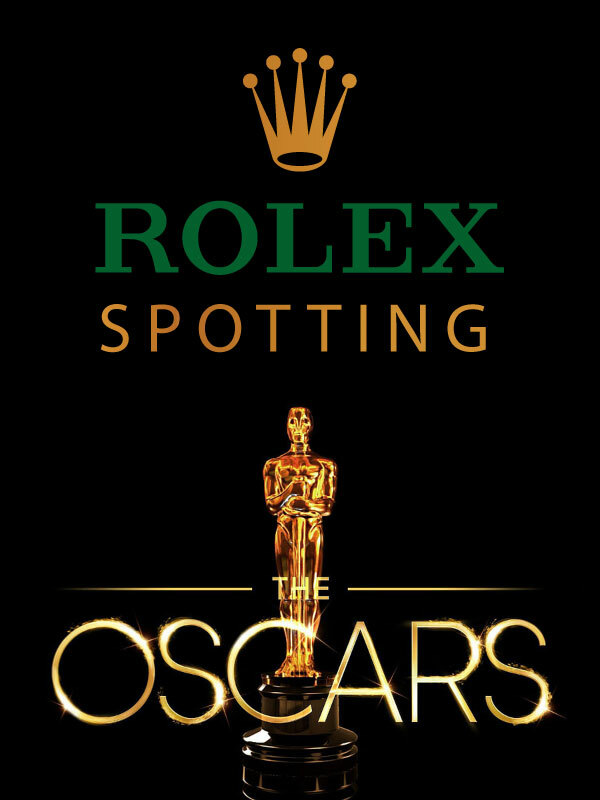 For many decades, Luca has been a big Rolex sport watch fan. In the photo below, we see a close-up wrist shot which reveals Luca wearing a vintage Rolex Submariner 5512 or 5513, on a leather strap. 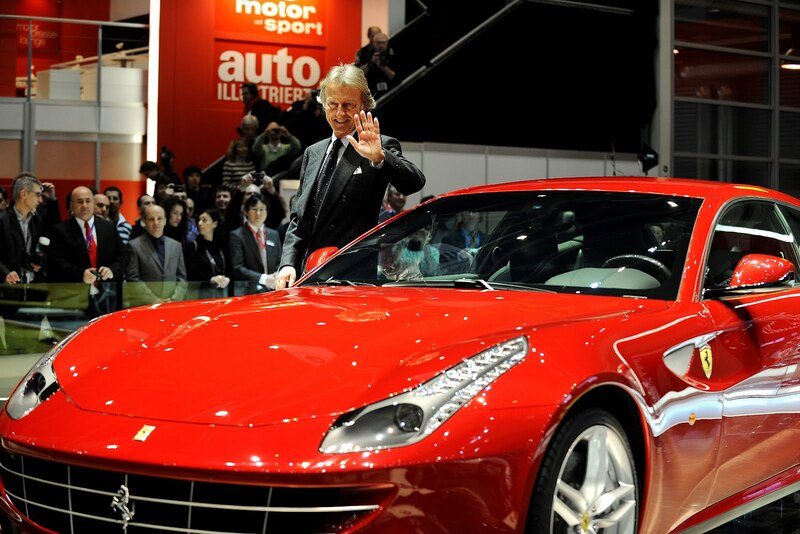 In the photo below, we see Luca at the unveiling of the all-new Ferrari FF1. 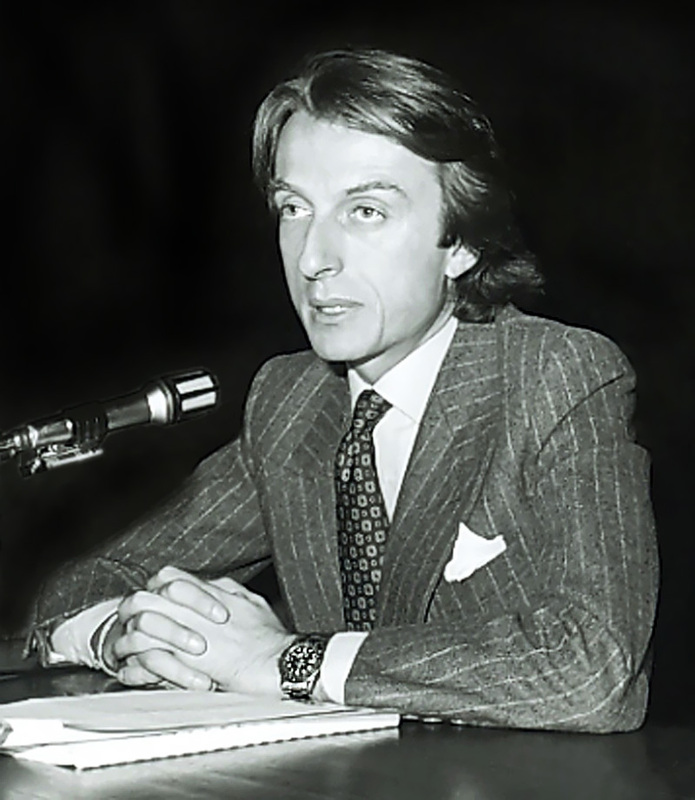 As I mentioned earlier, Luca has been a Rolex Sport Model fan for many decades, and in this next photo, from the early 1970s we see Luca sporting his Rolex GMT-Master. 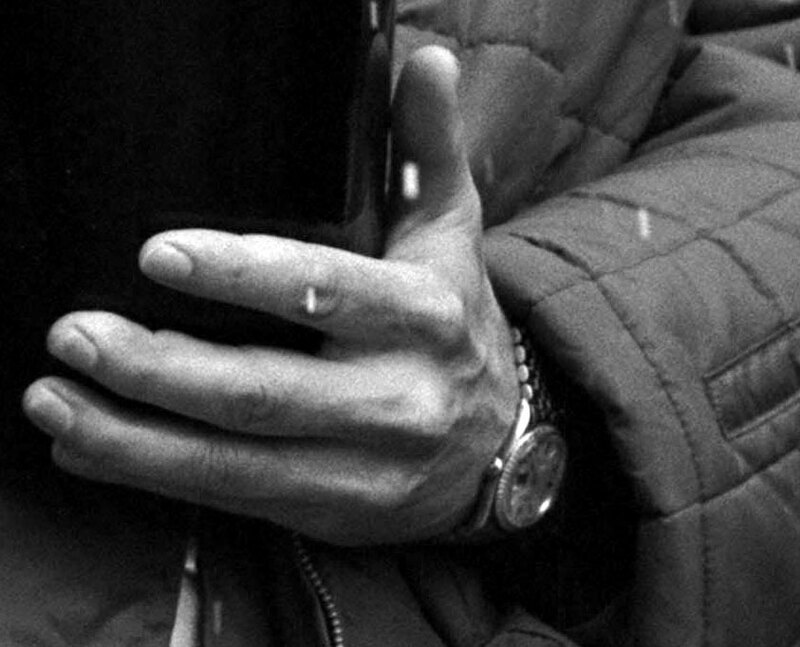 In this recent photo we see Luca still sporting his vintage Pepsi Rolex GMT-Master. 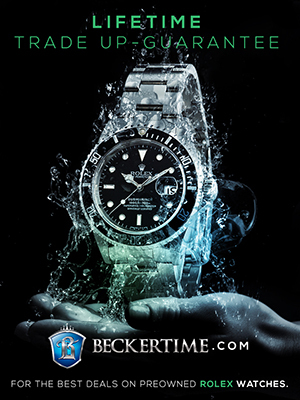 Luca has been sporting a Rolex GMT for at-least 4 decades!!! 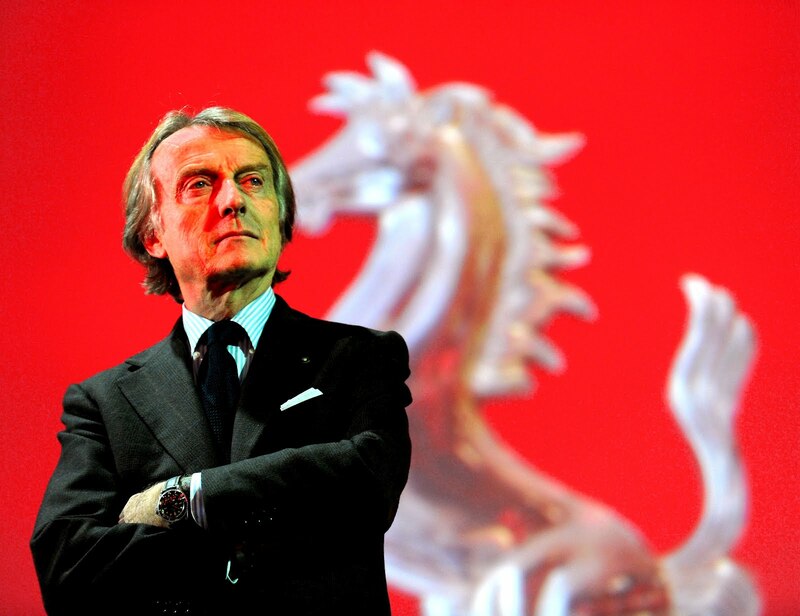 In this next photo we see Ferrari Chairman, Luca Cordero di Montezemolo introducing the all-new 2011 Ferrari 458 Italia Supercar. 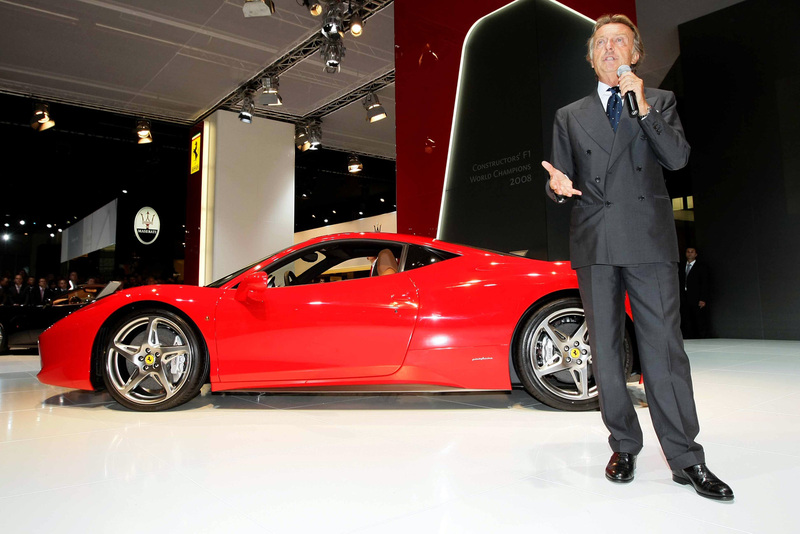 Here is an Autocar video review of the the all-new Ferrari 458 Italia. 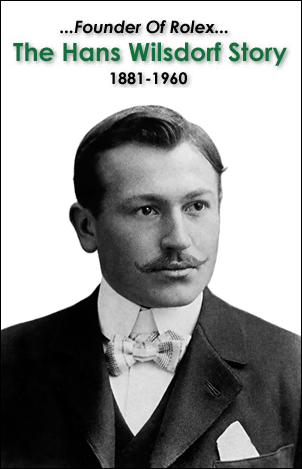 The head of Ferrari wearing a Rolex is nothing new. 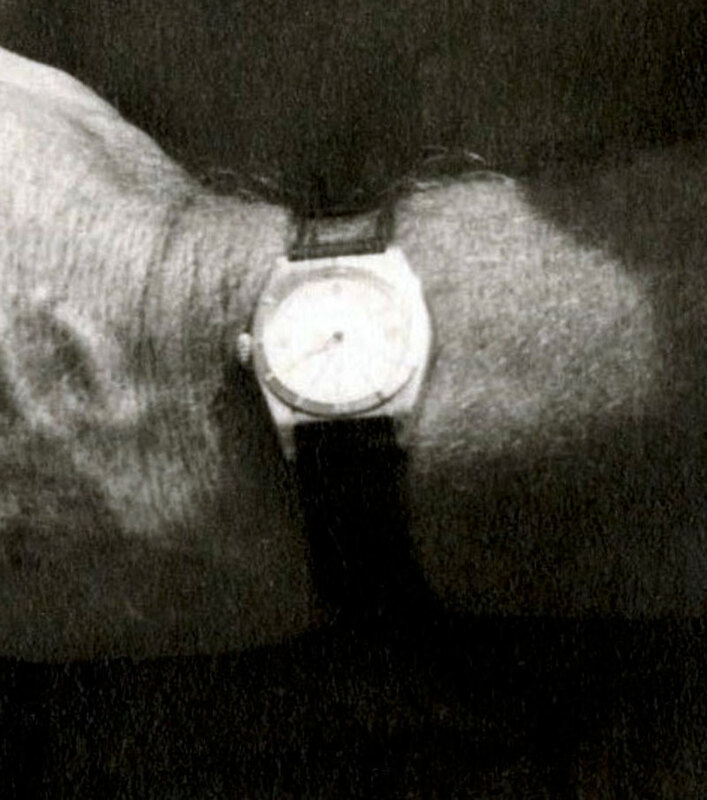 Luca's predecessor, Ferrari founder, Enzo Ferrari wore a Rolex as well. 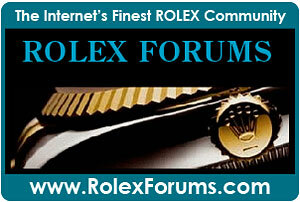 Vintage Ferrari automobiles, just like vintage Rolex watches, have continued to appreciate significantly over time. 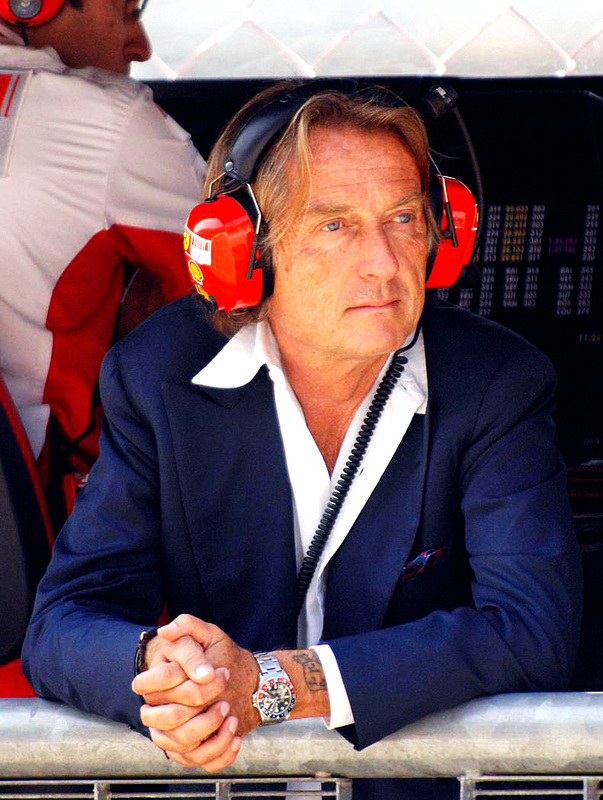 Luca is not the only head of an Italian sports car company to wear a Rolex Sport watch. 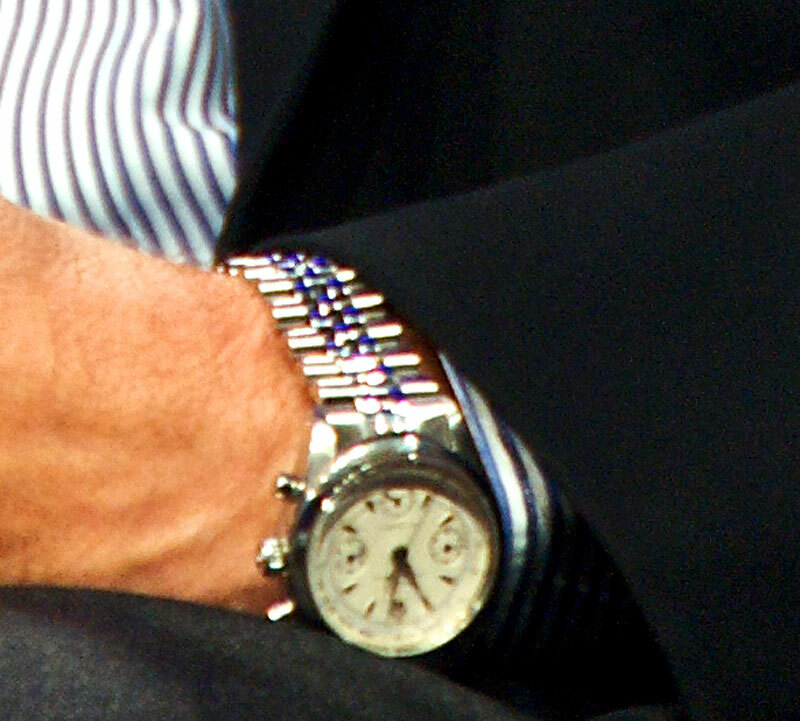 Stephan Winklemann, CEO of Lamborghini also wears Rolex Sport Watch. Note from Jake: As I write this, the 2012 24 Hours Of Le Mans is going on in France, so I thought the timing would be perfect to begin rolling out this amazing story. I will be working on completing this story in much more detail in the future, so check back. 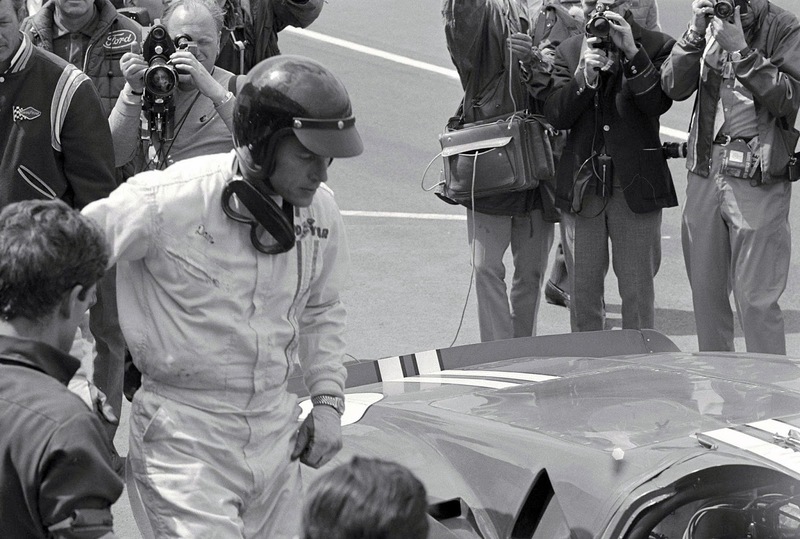 Dan Gurney is an American race car driver, race car designer, and team owner. 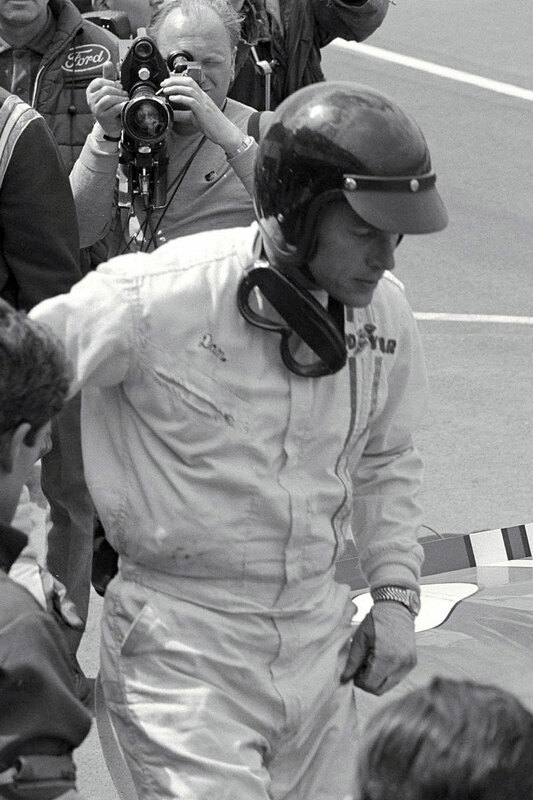 With an amazing career dating back to 1958, he is considered to be one of the living God's of racing. Dan Gurney is pictured below after winning the 1967 24 Hours of Le Mans. His teammate for the race, A. J. Foyt is standing next to him. 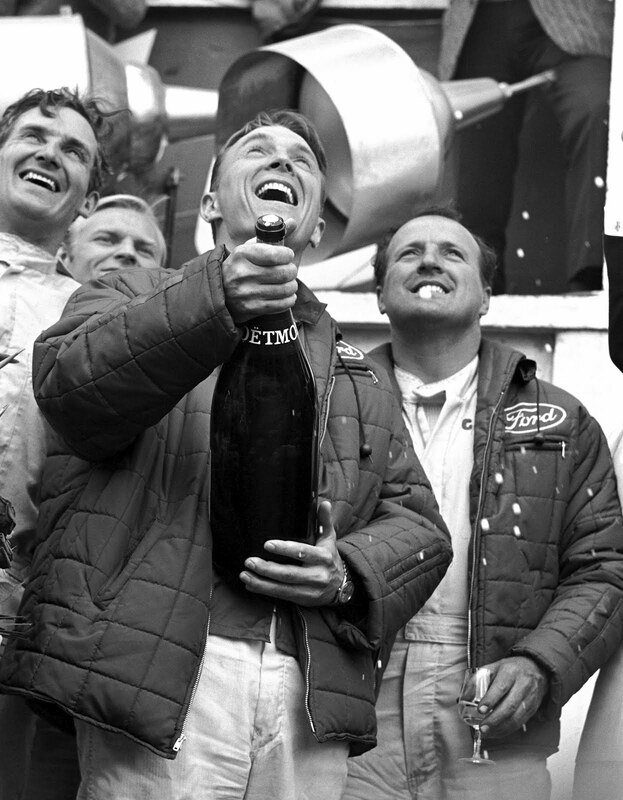 This photo is very famous as Dan Gurney did not drink alcohol, so when they won, he shook-up the champagne, and popped the cork and poured it all over the place–a tradition that he started, which continues to this day. The Ford GT40 that Dan Guryney and A.J. 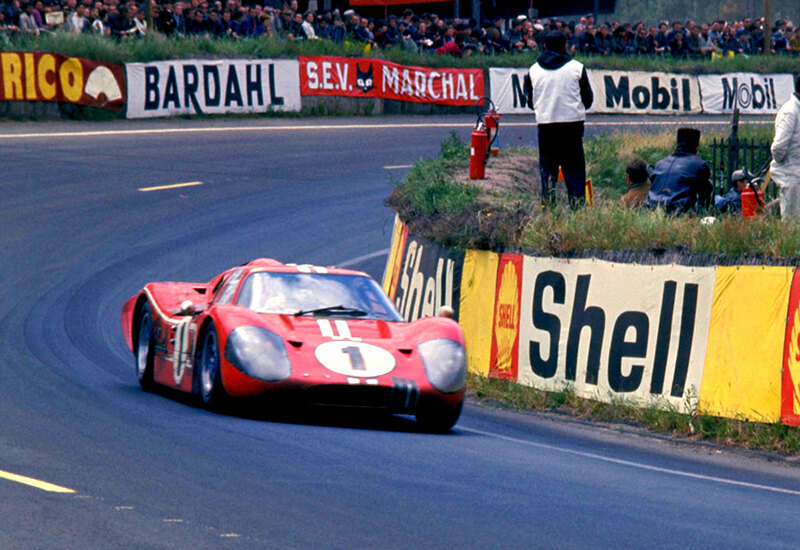 Foyt won the 24 Hours Of Le Mans in is pictured below. By the way, this is the first and only time an All-American team, driving an American car has ever won the 24 Hours Of Le Mans!!! 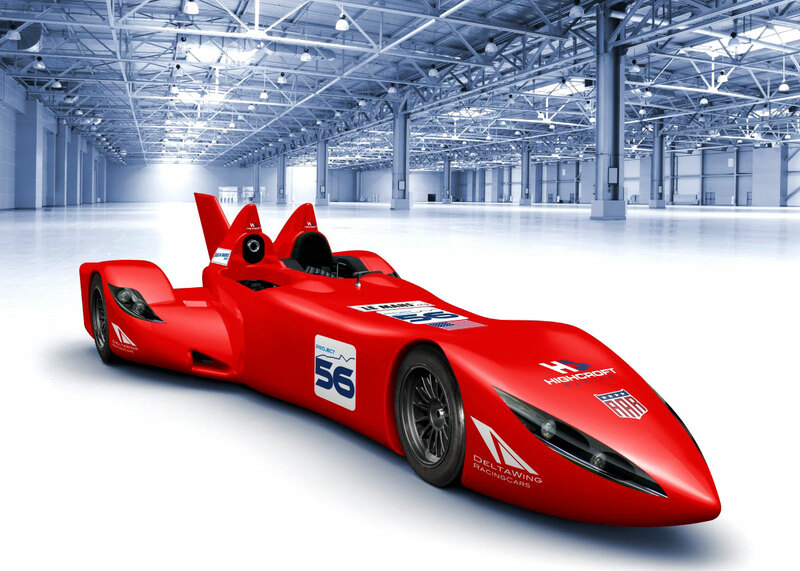 By the way, Dan Gurney is still extremely active in sports car racing, and at the 2012, his team is racing his experimental GT Class Delta Wing which is pictured below. The video below was taken earlier today and I am sharing with you so you can see what the race looks like today. Rolex is the official timer of the 2012 24 Hours of Lemans, and at the beginning of the video, you can see the Rolex timing clock. Here is a Road & Track video that goes behind the scenes with Audi and Toyota drivers, including Tom Kristensen who is a Rolex Ambassador. 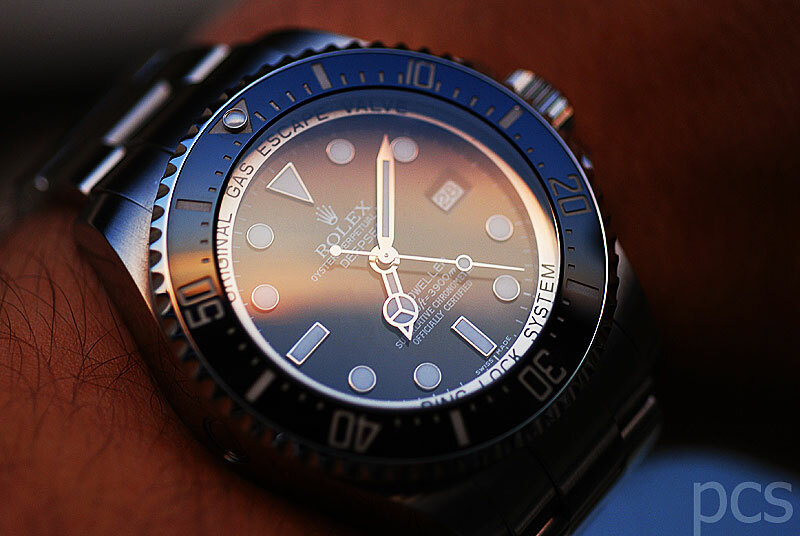 Percy, the co-owner of the German R-L-X.de forum took these superb sunset shots of his Rolex DEEP SEA. As CEO of DreamWorks, he produced a string of ultra-succesful hits hits, including Pretty Woman, Good Morning Vietnam, Dead Poets Society, The Little Mermaid, Aladin, Sister Act and The Lion King. 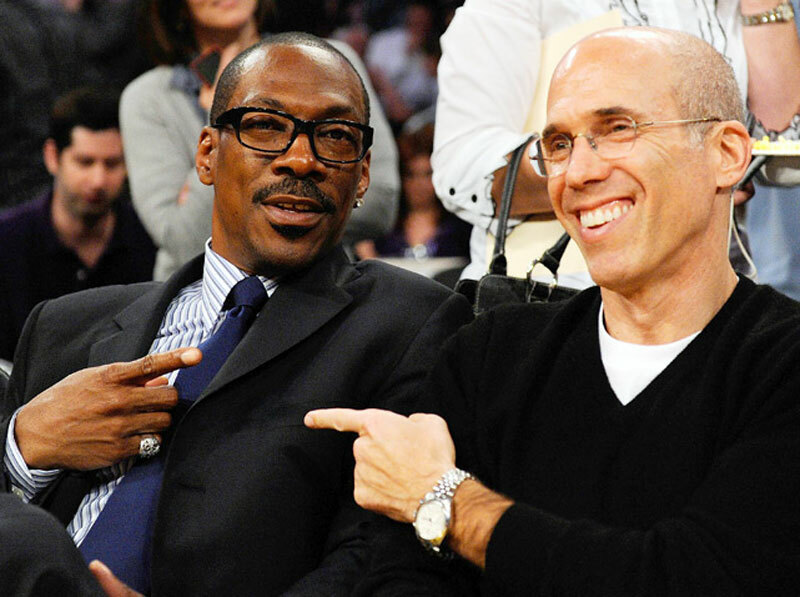 Jeffrey Katzenberg is pictured below with Eddie Murphy, who is a lifelong Rolex wearer. As the current CEO of DreamWorks Animation he has overseen production of more major hits including Shrek and Madagascar. 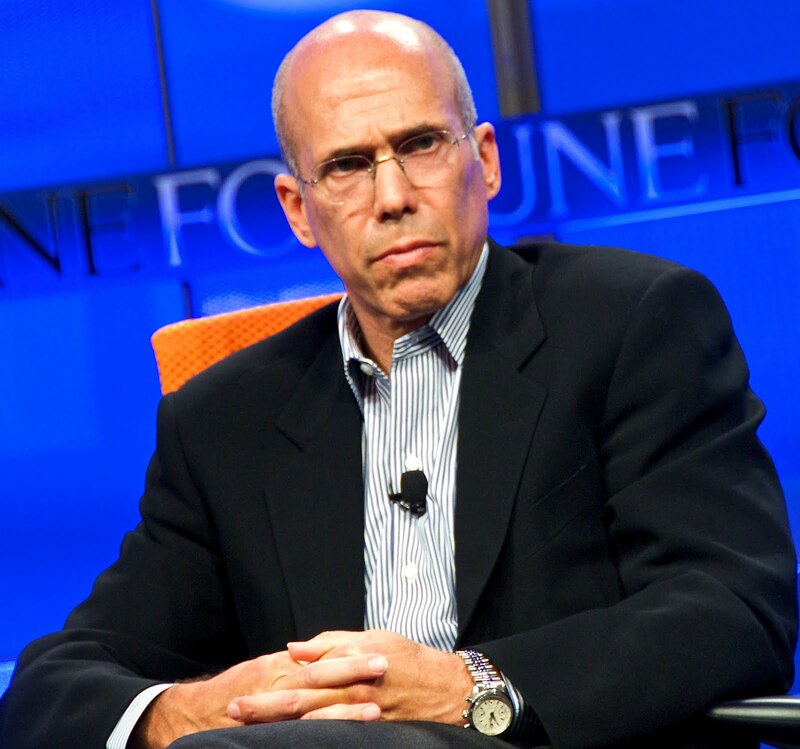 Until today there has been a mystery surrounding which Rolex watch Jeffrey Katzenberg wears. 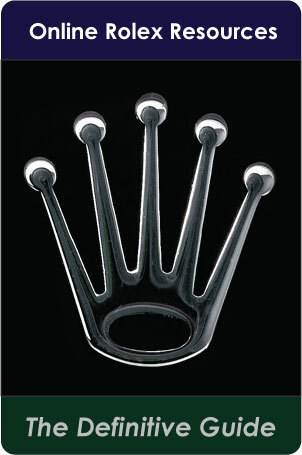 It always appeared he wore a Rolex Datejust on a Jubilee Bracelet, but I discovered something amazing! 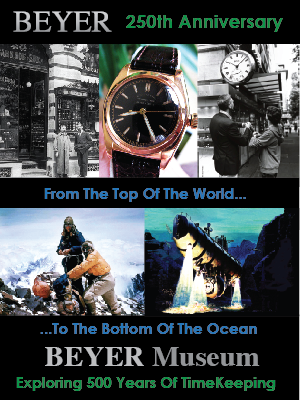 He wears a very rare and unusual vintage Rolex Chronograph as you can see in the two photos below. 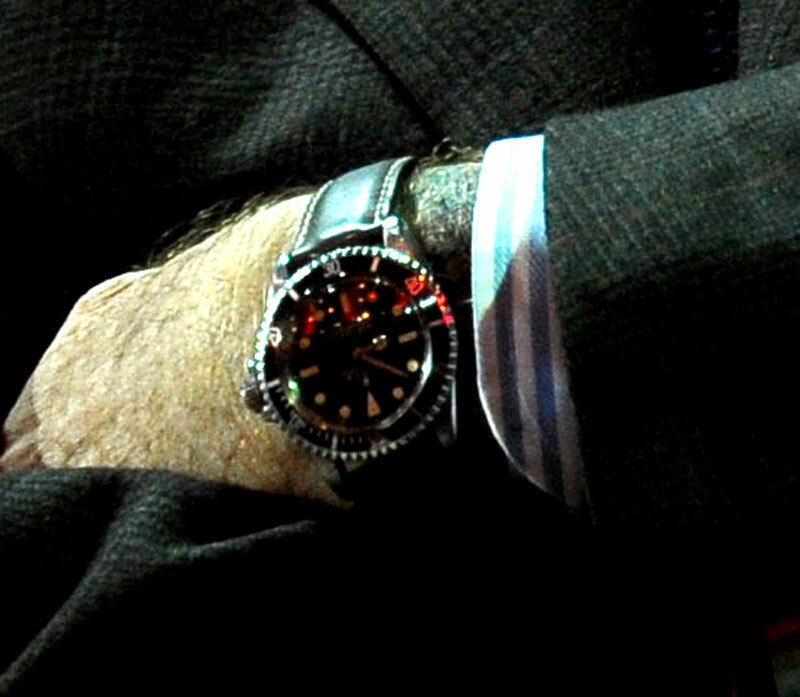 So what kind of Rolex Chronograph exactly is Jeffrey Kaztengerg wearing in the photos above? 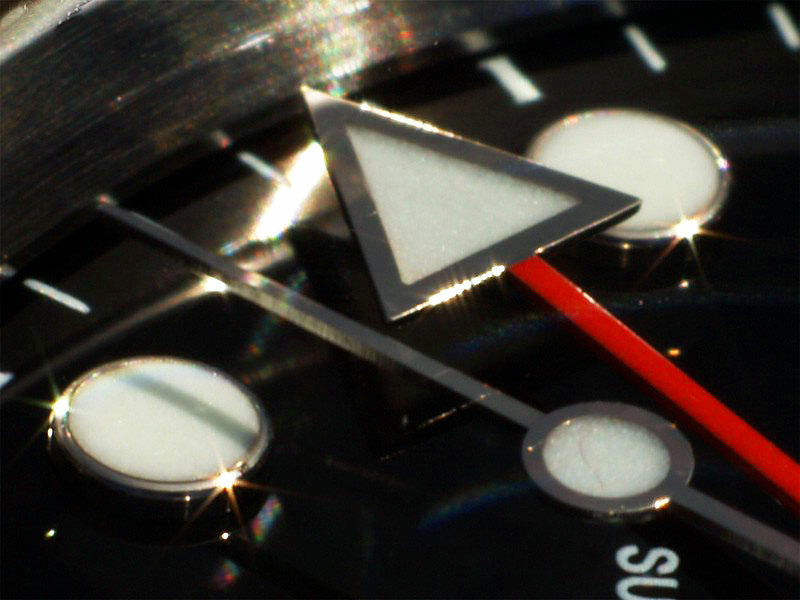 It is a Pre-Daytona Chronograph Reference 6235 with dual scale Telemeter dial. 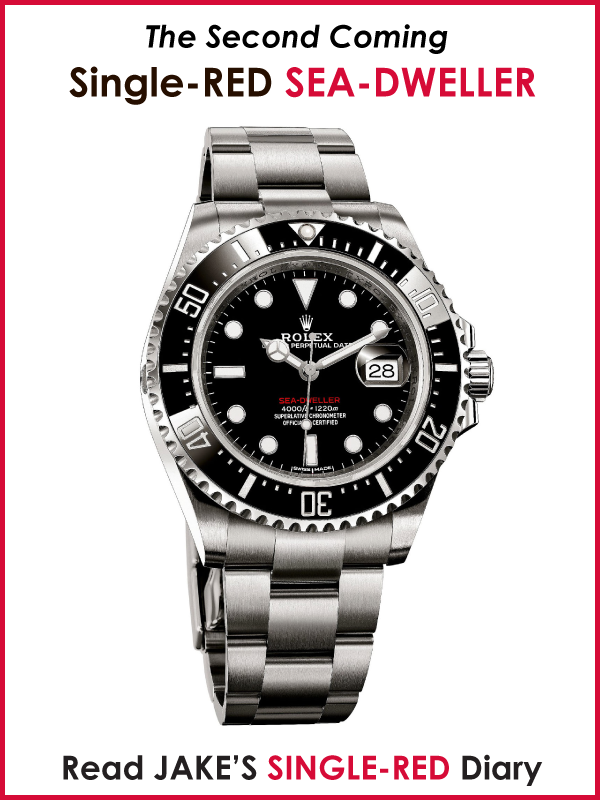 The Rolex Chronograph Reference 6234 was introduced in 1955–coincidentally, the same years Rolex introduced the Rolex GMT Master. 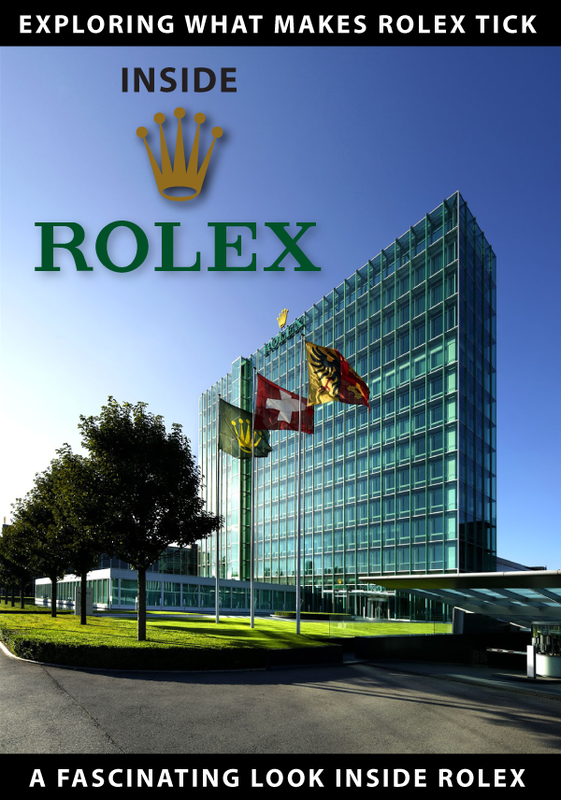 The Rolex Chronograph Reference 6234 was made from 1955 to 1961, and during those 6 years Rolex averaged approximately 500 per year. 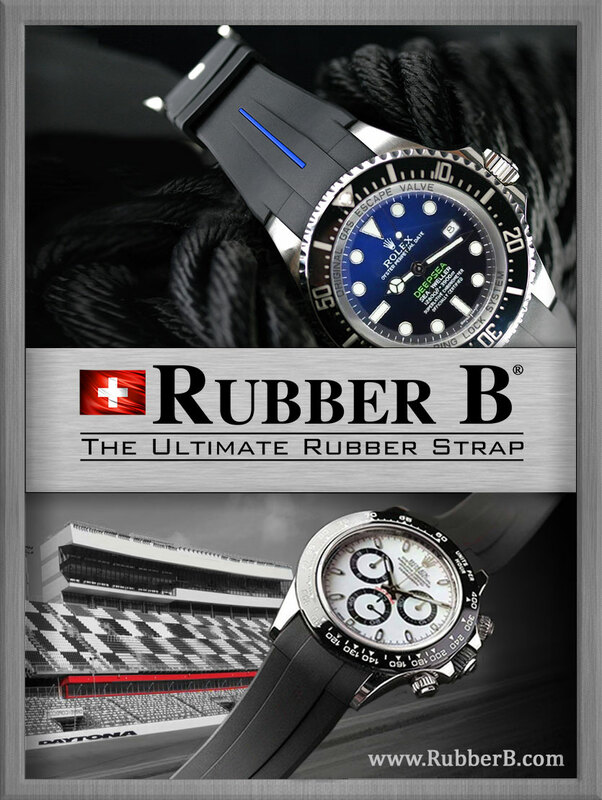 The Reference 6234 is the great grandfather of the modern stainless steel Rolex Daytona.